How did Sunrise study and build towards the “moment of the whirlwind” we’re seeing now around the Green New Deal? How did they use the spotlight on elected officials to build more public support and a more powerful movement? How have they learned to absorb the thousands of people who want to follow their leadership? 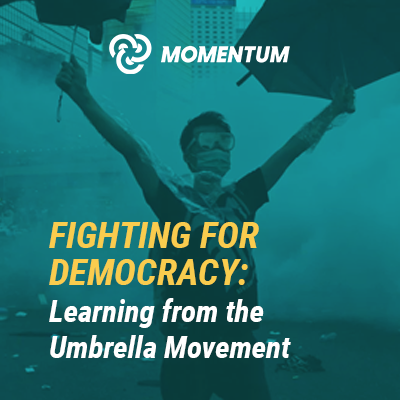 Watch this webinar with Sunrise on their movement building lessons, and what this political moment demands of organizers around the country. Sunrise is changing what is politically possible — and is also changing what organizing looks like in this country. Couldn't make it to a training? You can watch this series of 4 basic and 4 advanced webinars covering the earliest version of our curriculum. Produced in-house in the first year of our training by the Ayni Institute (formerly Movement Mastery), and led by co-founders Carlos Saavedra and Paul Engler, these videos are a great orientation to the theory of Momentum. The Ayni Institute led a series of trainings that harvested lessons from a diverse range of contexts and disciplines, including biology, complex systems, network theory, and open-source software. Their Swarm Training teaches how to structure a social movement so that it maximizes the autonomy and creativity of its members while preparing for the challenges that come with decentralized leadership. They worked with participants to identify who to pull into their movements, how to create self-replicating team structures, and how to frontload principles to guide the culture and action of the movement. * Anticipating challenges & creating principles to guide the "swarm"
We're grateful to the Ayni Institute for their work to make these resources available. Check out their other trainings, and subscribe to their YouTube channel for more. Join their mailing list for access to the training powerpoints. This Is An Uprising: How Nonviolent Revolt is Shaping the Twenty-First Century is the companion book to the Momentum Training. Written by Paul and Mark Engler, it is rooted in decades of research on civil resistance, and looks at the hidden art behind mass movement eruptions, examining core principles that have been used to spark and guide moments of transformative unrest. 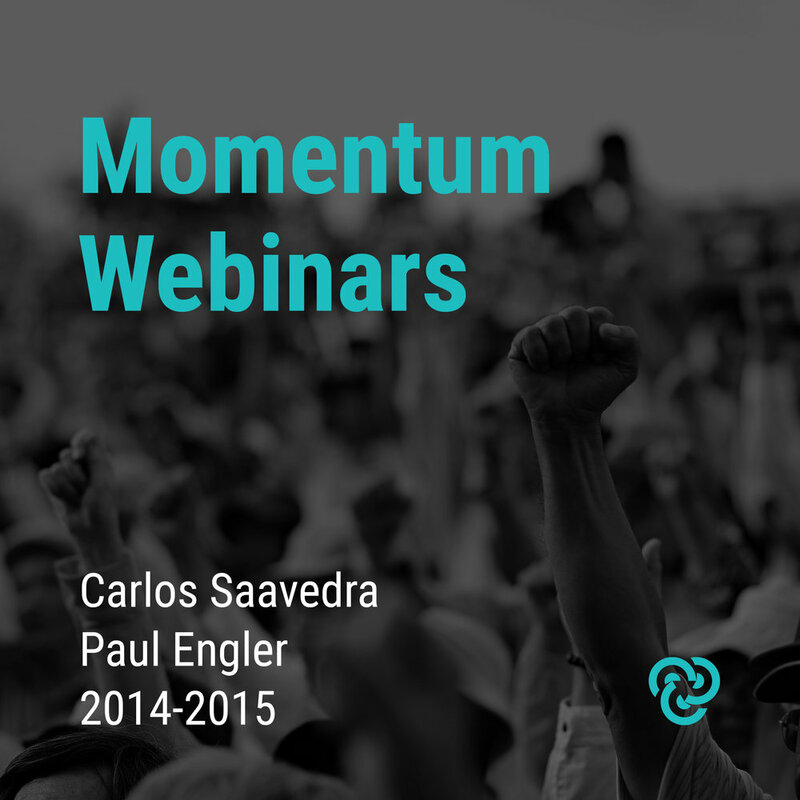 Webinar: What makes nonviolent movements succeed? Watch this webinar for an interview with Dr. Erica Chenoweth, author of “Why Civil Resistance Works: The Strategic Logic of Nonviolent Conflict.” We asked her questions about what her research reveals are the best strategies and tactics from movements around the world that have succeeded and failed in taking on oppressive regimes. Since the 2016 election, organizations across the country have been facing a similar challenge: What do you do when thousands of people come knocking on your door, ready to take action? 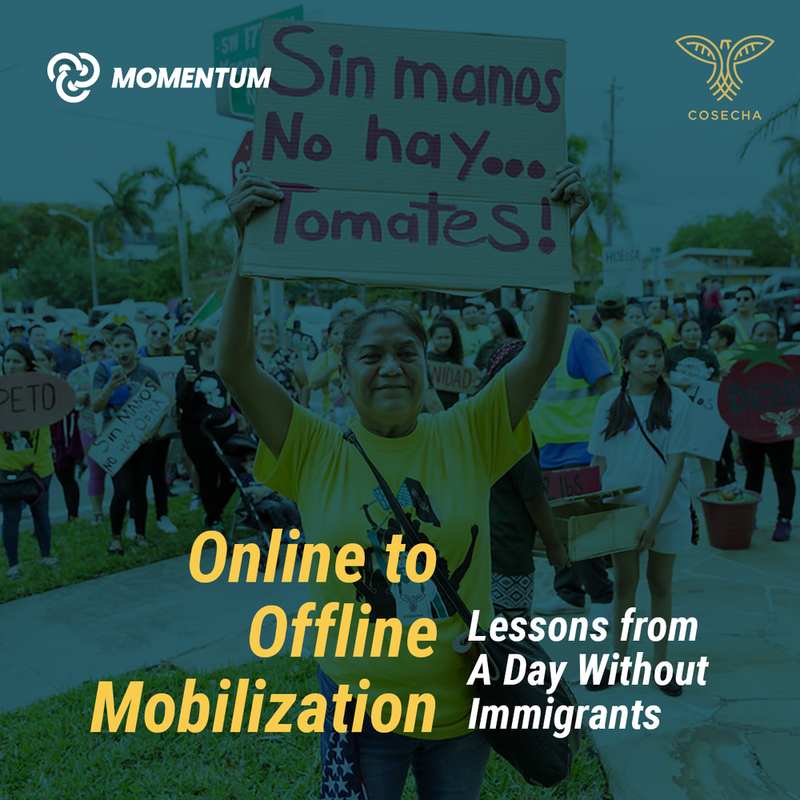 Learn how Thaís Marques used digital tools to recruit thousands of immigrants across the country to take part in the largest immigrant-led actions in a generation during A Day Without Immigrants on May 1, 2017. In this webinar, you’ll learn how she used innovative digital tools to engage passive supporters of the movement to turn them into active participants to grow their organizational capacity.